Some Granite Staters are tired of inaction when it comes to Lyme disease and are using their unique talents to do something about it. To sufferers, Lyme disease is like that old adage about the weather: Everyone talks about it, but no one does anything about it. We talked to some people who are tired of struggling with the disease and are using their talents to make a difference. And we’re including some useful information so you don’t become a victim yourself. If you’ve lived in New Hampshire for any length of time, you’ve heard about Lyme disease. You know that you’re supposed to cuff your pants into your socks and spray yourself with tick repellent before venturing into tall grass or the woods, and check for ticks following any circumstances in which you might have come in contact with a tick. But despite public awareness of Lyme disease, you might be hazy on the particulars, such as what to expect if you get it or how the disease is treated. Perhaps that’s at least partly due to the fact that even experts are a little unclear on some of the intricacies of Lyme disease. But there’s something else too. It’s almost as if, in some people’s eyes, Lyme disease is a bit of an outlier, an outcast of sorts. How seriously should we take it, exactly? How big a deal is it, really, if you get it? Is some of it in people’s heads? Tremendous controversy surrounds Lyme disease, with debate about how long Lyme disease can remain in a person’s body, how it should be diagnosed, how it should be treated, and more. Some of the people who have Lyme disease have suffered with symptoms for years and feel neglected and mistreated. They believe that some doctors and certain medical authorities, such as the Centers for Disease Control (CDC), have turned their backs and denied them proper treatment. Doctors, on the other hand, might feel squeezed between the standard treatment protocol endorsed by public health officials, and the patients who insist they have Lyme disease but perhaps lack physical or quantifiable evidence. Lynn A. Durand, MD, is a family medicine physician at Concord Hospital’s Family Tree Health Care. 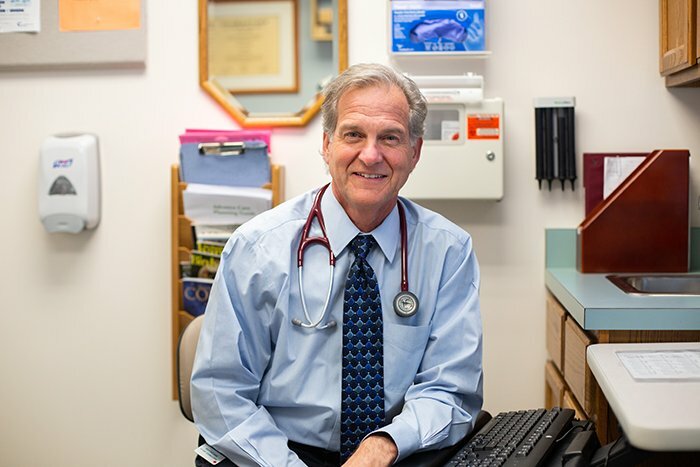 He specializes in Lyme disease, and is known among people in the Lyme disease community as a “Lyme-literate” doctor, one who understands the disease and can help those who suffer from it. In fact, Durand has first-hand experience with the disease, having contracted it 10 years ago. His interest in Lyme disease stems not so much from his personal experience, though, as it does from wanting to help people who have few places to turn for medical care. With nowhere local to send Lyme disease patients for help, these days Durand takes care of them himself. Before he discusses Lyme disease, Durand is careful to point out that his opinions are his own; they are not necessarily representative of conventional medicine or of Concord Hospital, where he works. “It’s a very politically contentious topic,” he says. Lyme disease is a tough nut to crack. Its symptoms are highly variable, and tick bites can cause co-infections, which complicate matters even more. It is tough to identify, and a challenge to treat. And, “it can involve any and every organ system” in the body, Durand says. Q: How long must a tick be attached to transmit Lyme disease? Left untreated, however, Lyme disease can spread — to the heart, joints, everything. Talk to people who have Lyme disease, and you’re bound to come across someone who tried to get early treatment but didn’t. They’ll mention inaccurate testing, misdiagnosis, and conflicting notions concerning the potential for Lyme disease to be a chronic condition. Q: No bull’s-eye, no problem? A: Not everyone who gets Lyme disease develops a bull’s-eye rash. Symptoms vary widely, but common early symptoms include fatigue and flu-like symptoms. “There is argument and discussion” about long-term symptoms related to Lyme disease, Durand says, and about whether long-term antibiotics should be prescribed as treatment. “There are some people who have long-term symptoms and clearly improve with long-term antibiotic treatment,” he says. While we wait for a solution, the imbroglio continues. 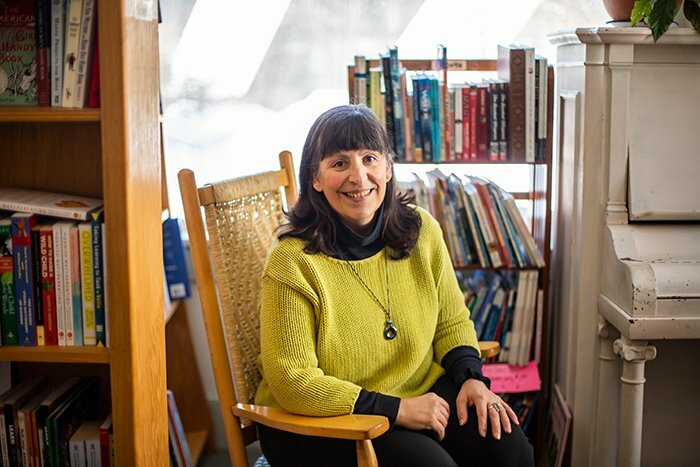 On the following pages, meet a handful of Granite Staters who, like Dr. Durand, have used part of their lives, their art or their business to increase awareness and push for a cure of an insidious disease that can take not just a physical but a psychological toll. Kathie Fife was diagnosed with Lyme disease three years ago — more than three decades after she first contracted it. Fife, 47, a photographer who lives in Canterbury, says that a review of her medical records, including tick bites plus rashes and a variety of unresolved symptoms, makes it clear that she has suffered from Lyme disease since she was a teenager. She sought help from various specialists over the decades as pain migrated from her back to other areas of her body, but none of their suggested treatments seemed to work. She would have to give up her career as a natural resource specialist because she lacked the stamina for the job. Kathy Fife takes her faithful Chinook, Tyler, with her on treks to capture nature for her fine art photos and greeting cards, but she says sometimes the best nature photos come to you, like when this cute opossum took up residence in her yard and even seemed to pose for this portrait. 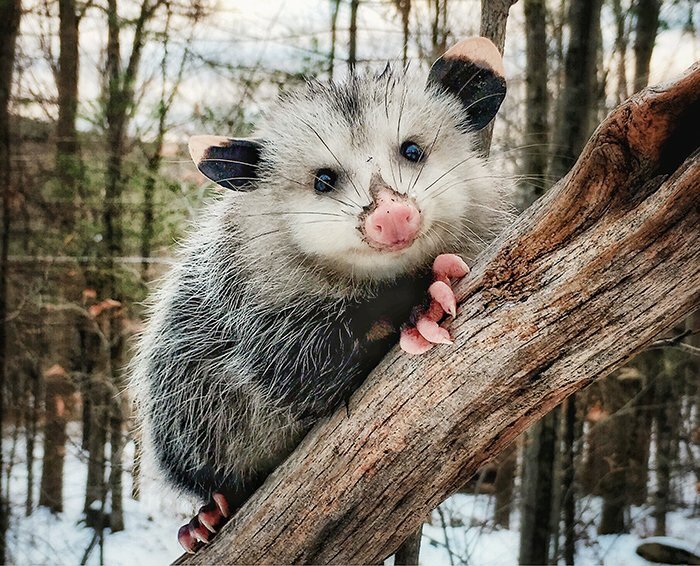 They eat around 5,000 ticks in a season, making opossums a kind of spirit animal to Lyme sufferers. It’s not uncommon to hear about misdiagnosis and long-term suffering from people who have Lyme disease. Fife hopes to help change that. 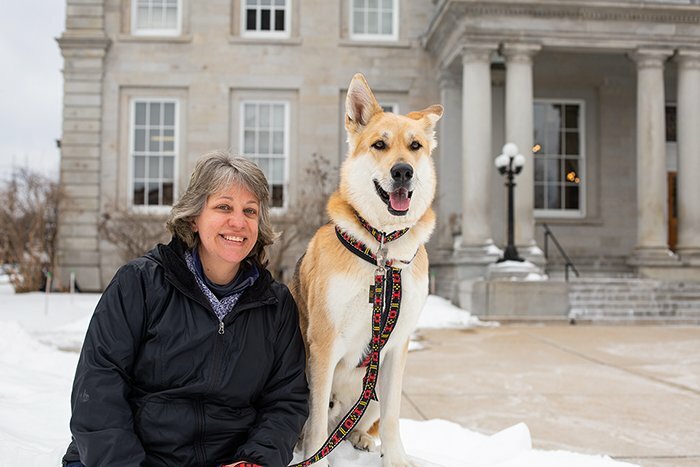 Among her efforts, she has worked to raise awareness of Lyme and other tick-borne diseases (TBDs) and to help enact change by testifying at the Statehouse. She has advocated for doctor and patient education, which is “severely lacking in this state,” she says, and has provided testimony for bills that would alert patients to the potential fallibility of Lyme disease testing. 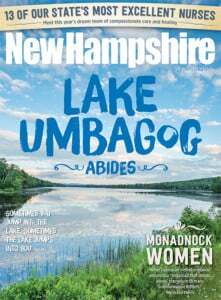 “Currently, protocols in New Hampshire are based on acute symptoms of Lyme. This leaves those with chronic infections with limited options for diagnosis and treatment,” she says. She highlights research that indicates that Lyme disease and associated infections can cause debilitating physical changes and psychiatric symptoms that contribute to suicide risk, and she uses social media to share research and facts about Lyme and TBDs. 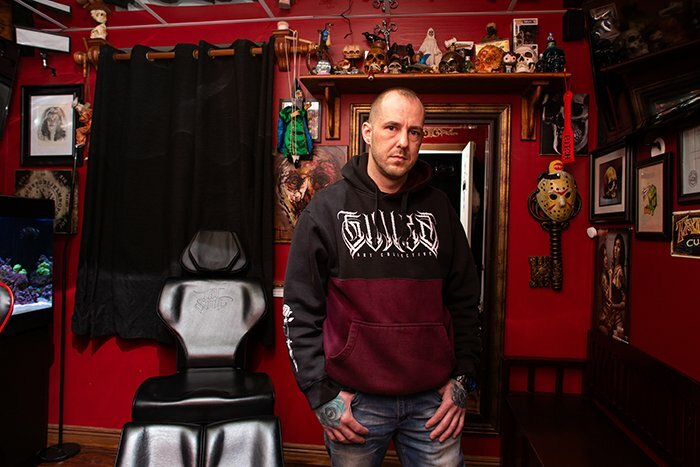 Is a tattoo shop an unlikely place to promote social causes? Scott Flanders clearly doesn’t think so. Flanders, who does not have Lyme disease, says he has family members and friends who do, and he wants to help them as well as others who suffer from the disease. So, each year he holds a tattoo marathon at his shop, usually for around eight hours, but often longer to accommodate people who want to participate but can’t make it in during official marathon hours. Customers who wish to take part in the marathon may choose a Lyme-related tattoo such as a tick, bull’s-eye (in reference to the bull’s-eye rash that can be a symptom of Lyme disease), remembrance ribbon or custom design. Some of customers who participate in the marathon at Capital City Tattoo have Lyme disease, Flanders says, while others get tattoos in honor of friends or family members who have the disease. Some simply want to show their support for the cause. If you like your murder mysteries presented in a BBC style with a Lyme disease plot twist, Dana Biscotti Myskowski has got a story for you. Myskowski, a 53-year-old screenwriter who resides in Henniker, has lived with Lyme disease symptoms since 2005. She wrote “I Cannot Play with You,” her first novel, to entertain as well as educate. Like many others with Lyme disease, Myskowski found an accurate diagnosis for her illness tough to come by. At one point a doctor thought Myskowski might have stage-four bladder cancer. “The doctor and the nurse both commented that they had never seen that much blood in a urine sample,” Myskowski says. Test results came back negative though — good news, except that the doctor had no idea what was wrong. Award-winning screenwriter and Emmy-nominated producer Dana Biscotti Myskowski used her experiences as a survivor of several bouts of Lyme to craft her first novel about a Lyme-infected investigator on the trail of a murderer. It wasn’t until 2013 that Myskowski was finally diagnosed with Lyme, after an infection from a splinter landed her in the emergency room. “The next morning, after taking heavy-duty antibiotics, I felt better than I’d felt in years,” Myskowski says. She had noticed similar improvement when she received antibiotics for bronchitis and for pneumonia — conditions she’d never had before being bitten by a tick. Her doctor connected the dots and came up with the Lyme diagnosis. Today, Myskowski’s symptoms have greatly improved, though she still suffers from extreme fatigue, occasional headaches, and “brain fog” that causes her to forget names and faces. Initially, Myskowski wanted to write a self-help book about Lyme, but found that the market was already saturated. So she decided to write a novel whose main character has Lyme disease, but also investigates a murder. She plans to expand the character’s story into a series. “I hope it’s a fun book to read,” she says, but she also wants to raise awareness of the range of side effects and symptoms that Lyme disease can bring, and of what people who have Lyme disease are going through. “Lyme disease is more than just a bull’s-eye rash and sore knees and flu-like symptoms,” she says. 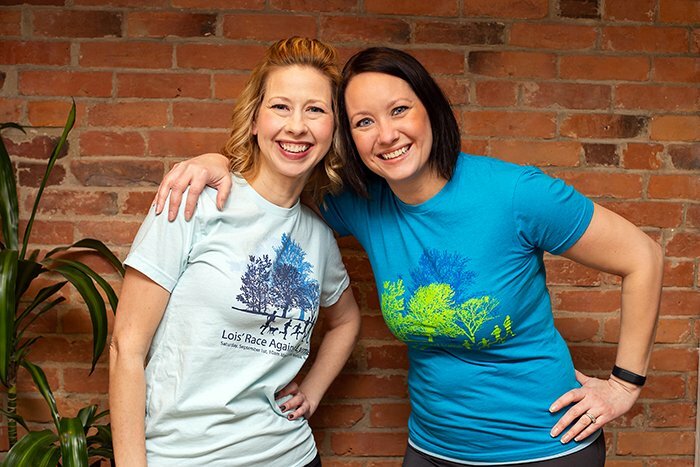 As they watched their mother struggle with Lyme disease, Valerie Johnson and her sister Elissa felt they had to do something. Their mom Lois had been bitten by a tick in the backyard of her Amherst home, but her doctor did not think she had Lyme disease. Eventually, her worsening symptoms drove her to seek treatment from another doctor, who prescribed antibiotics. Lois has her good days, but mostly continues to suffer with symptoms that include chronic fatigue, debilitating headaches, body aches, chills, and a pins-and-needles sensation under her skin. “It also really messes with her stomach,” Valerie says, and “there are days when she’s very weak.” She spent the past Christmas sick in bed and on the couch. The expense of Lois’ medical care quickly added up, and ultimately forced her and her husband to sell their home. “It was rapidly becoming obvious that this was not going to be a short road, and that the expense was huge and beyond what they were able to handle,” Valerie says. Desperate to help, she and Elissa held a 5K road race at Mine Falls Park in Nashua in the fall of 2012 as a fundraiser. “That first year was simply to benefit my parents,” Valerie explains, but “we started meeting so many people that needed help.” Since then, proceeds from the annual race continue to benefit Valerie’s parents, but also go to other Lyme disease sufferers and help provide community education about Lyme disease. For more information, look for Lois’ Race Against Lyme on Facebook. It’s understandable that some Lyme disease sufferers feel somewhat helpless, particularly those who experience severe and long-lasting symptoms. 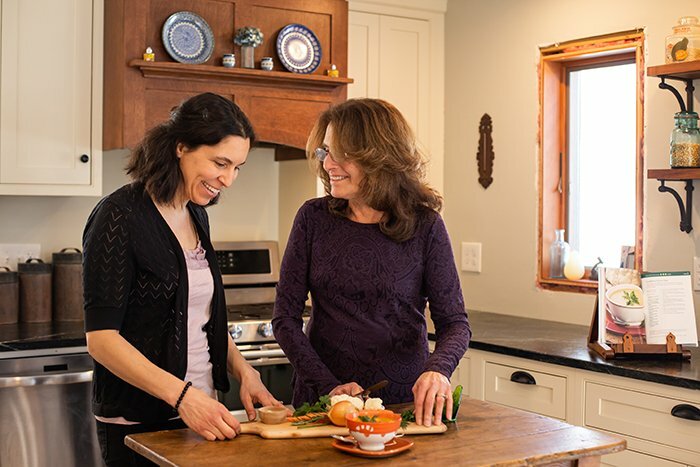 But Laura Piazza and her mother Gail want people with Lyme disease to take a more active role in how they feel by changing their diet. Laura contracted Lyme disease in 1999. She went to her doctor, but was not treated for Lyme disease until about six weeks later, when she “got really, really sick” and ended up in an emergency room. By that time, the infection had spread. Ten years later, at the age of 34, she was diagnosed with chronic Lyme disease. Today, most of Laura’s symptoms have abated, with the exception of ongoing fatigue. 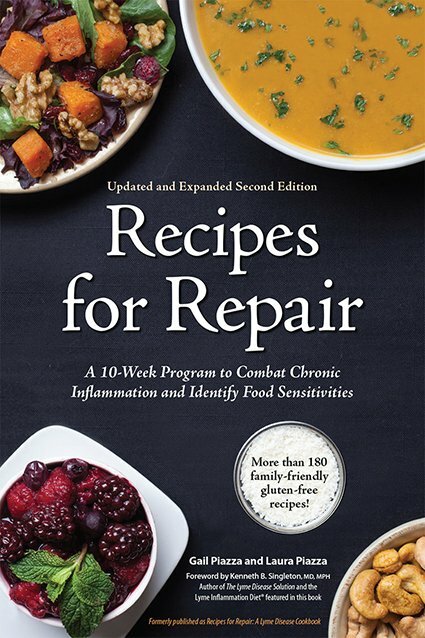 She gives a lot of credit to her current doctor, but also to her diet, which she was inspired to overhaul after reading “The Lyme Disease Solution” by Kenneth Singleton, MD. Singleton found from his own experience as a victim of Lyme disease as well as his patients’ that proper nutrition — particularly steps to reduce inflammation in the body — can significantly enhance recovery from the disease. The project took some determination to finish, given that Laura lives in Sunapee while Gail resides in Washingtonville, New York. They traveled back and forth to style and photograph the food, and in 2010 published the book, followed by a second revised edition in 2016. “We didn’t skimp,” Gail notes. They designed the book so that it lies flat for easy use, with a generous font size and recipes presented in a series of steps rather than in paragraphs that might be more difficult to follow for people who aren’t feeling well or have vision difficulties. Laura “won a prestigious design award” for her efforts, Gail says proudly. Given the fraught political climate of recent times, it’s nice to hear of a politician working side by side with citizens to fight for change. 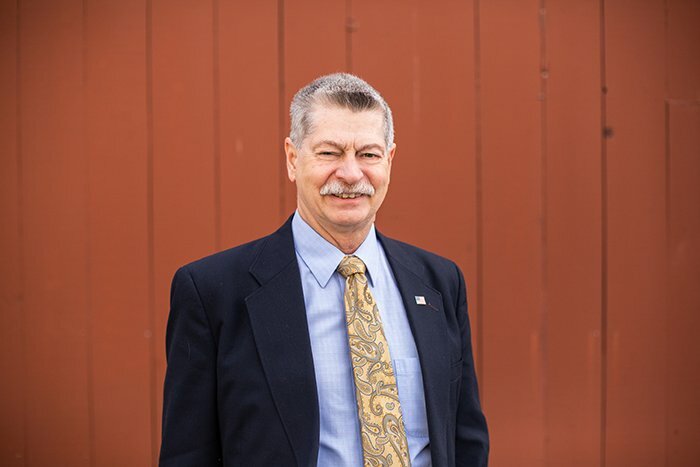 Gary Daniels, a former state representative and state senator from Milford, worked at length to enact legislation that would benefit Lyme disease sufferers. It all started back in 2010, when Daniels was contacted by an old high school classmate who for years had struggled with Lyme disease. She had asked her primary care doctor to treat her for Lyme disease, but “was told to go find another doctor,” Daniels says. Unable to find someone in New Hampshire who would treat her, she ended up traveling to New York. Daniels started to investigate, and quickly realized he’d stepped into the heated controversy that surrounds Lyme disease. “I didn’t know how contentious it is,” he says, but he soon learned of what he believed was largely responsible for his high school friend’s experience: a discrepancy in medical standards that put doctors in a difficult situation, placing those who prescribed long-term antibiotics for Lyme disease at risk of disciplinary action from the Board of Medicine. Daniels sponsored a bill that would enable doctors to treat chronic Lyme disease with long-term antibiotics without fear of punishment. “We ran into opposition at every stage,” he says, including from government officials with medical field connections. The bill was “politely” killed, Daniels says, until a public hearing when some of the House members had a change of heart. “We had over 200 people show up for the hearing,” Daniels says, some in obvious pain. The bill passed, only to became stuck once again in the Senate. It was reintroduced by Daniels in 2011, when it finally became law, though Gov. John Lynch did not sign it. The new law meant New Hampshire was “just following the same standards that were already in place” in other states such as Connecticut, Daniels says. Daniels also co-sponsored a bill that became law in 2015 and designated May as Lyme Disease Awareness Month, and more recently he worked on a bill that would require patients to be informed in writing about the unreliability of Lyme disease testing. That bill failed to become law, but citizens and current legislators plan to continue the effort to change that. Daniels credits the 12 citizens he worked with — all victims of Lyme disease — as a tremendous help in getting Lyme disease legislation passed. “I didn’t know anything about Lyme when I started. I learned a great deal from their experiences,” and from others in the Lyme disease community, he says.